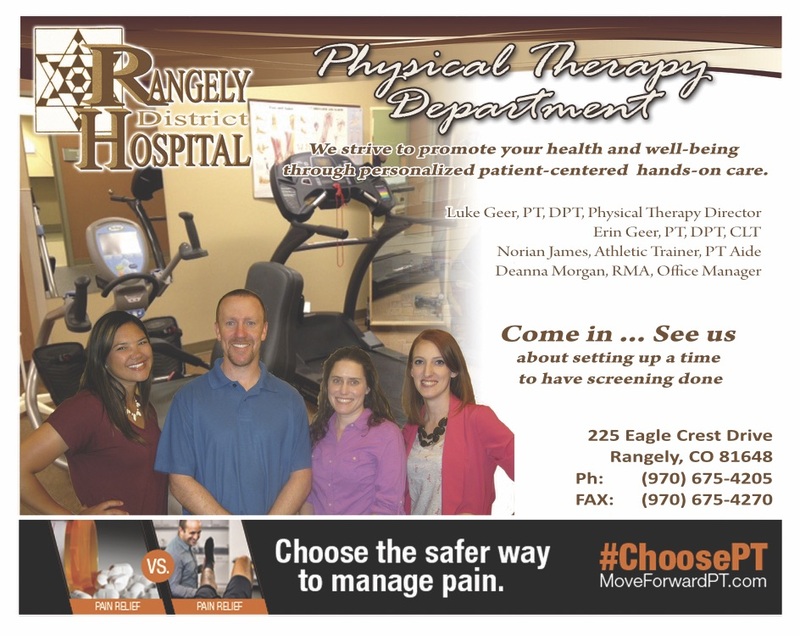 Rangely District Hospital offers physical therapy to help patients find the best way back from all types of injuries, illnesses, and acute and chronic conditions. We offer a full range of care that includes inpatient, outpatient, and home health services to help rehabilitate patients. We also perform Limited Functional Capacity Evaluations. Physical therapy is a profession that deals with movement and function of the body. A physical therapist undergoes intensive training to become an expert in examination and treatment of problems that affect people's abilities to move and function. We offer a full range of outpatient therapy services at the Physical Therapy Department. Whether you've injured your shoulder, strained your back, or have recently had a knee replacement surgery, with a referral from your doctor we are equipped to assist you in your recovery. We also treat individuals with Multiple Sclerosis, Rheumatoid Arthritis, stroke, and many other acute or chronic conditions. Our registered Physical Therapist assists patients in regaining lost mobility, motor skills, and function. They provide treatment and exercise in the home to help relieve pain and improve the independent quality of life. To view more information or to see if you qualify for home physical therapy click here. Upon referral from a physician, our therapists will establish a plan of treatment aimed at restoring one's functional abilities, which may have been compromised by a serious injury, recent surgery, or disease. Our rehabilitation professional will work closely with family members to ensure a successful and smooth transition.